Discover Extraordinary and don’t miss the largest multicolour dancing musical water fountain show in the world set to join the ranks of the country’s top tourism landmarks happening at Okada Manila in March 31. Get a chance to see the first-of-its-kind and iconic show in Manila. 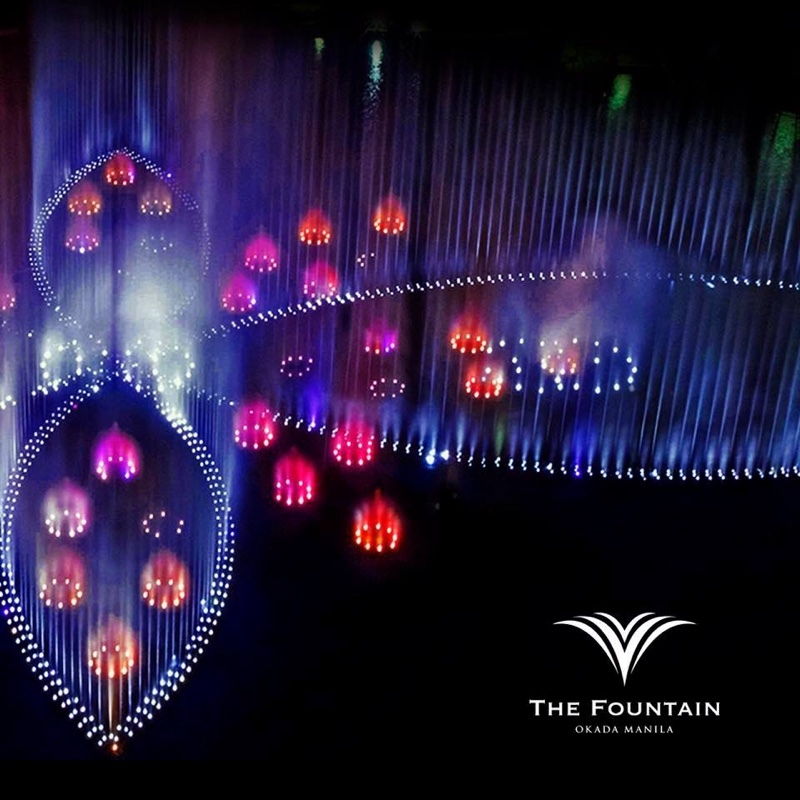 The show will be enhanced with a highly immersive projection mapping onto the glass surface of the 800m-long crystal corridor surrounding The Fountain which will create a whimsical augmented and interactive reality. 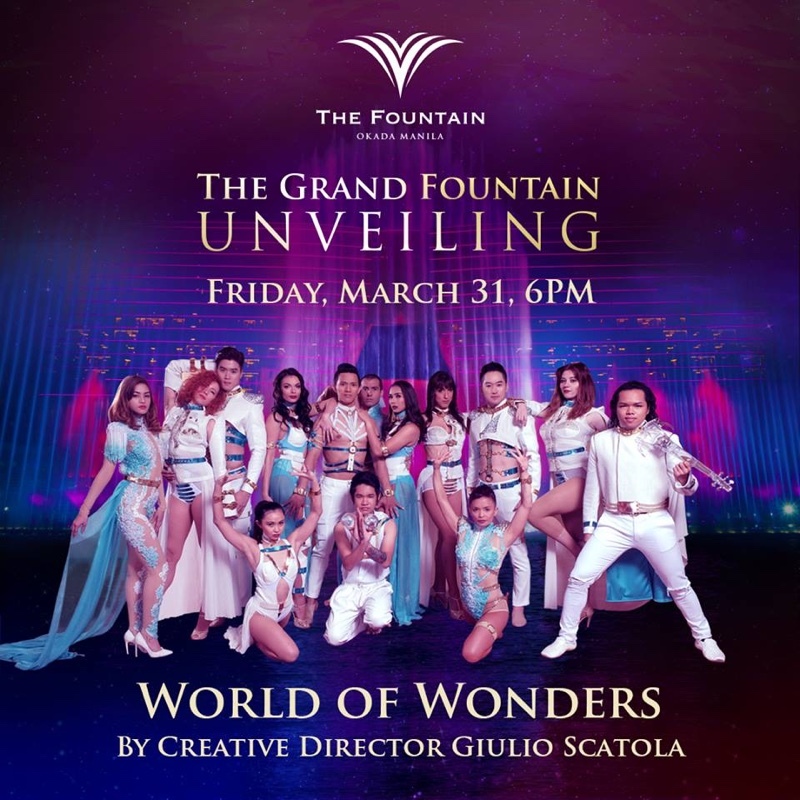 The combination of digital technology, live acrobatic and circus performances and the grand water fountain display is expected to romance the senses of anyone who would come to see the first-of-its-kind and iconic show in Manila. 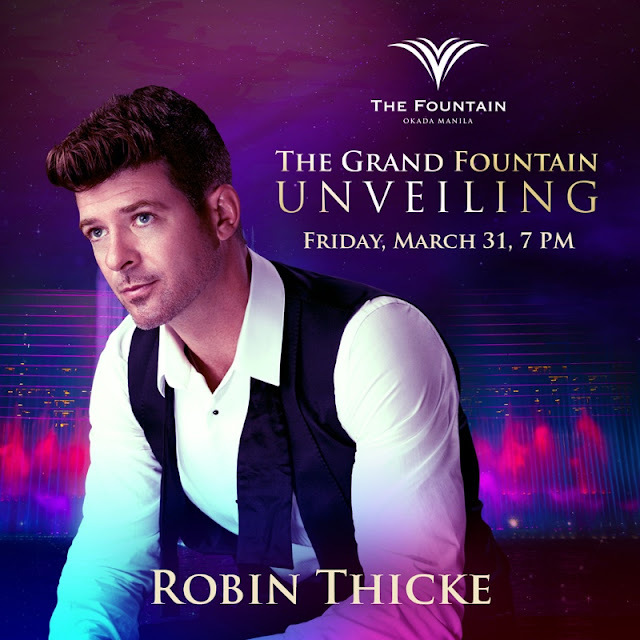 On top of the fountain show, Okada Manila is bringing multi-awarded singer, songwriter and record producer Robin Thicke to join the grand celebration and perform his hit songs on The Fountain stage. 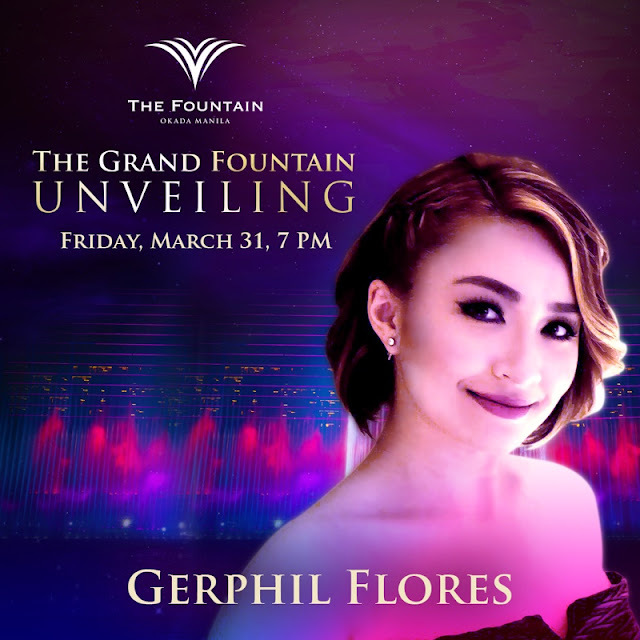 Asia’s Got Talent finalist and Filipino classical singer Gerphil Flores along with the 40-piece Manila Philharmonic Orchestra are also expected to wow the audience with their extraordinary and world-class performances. 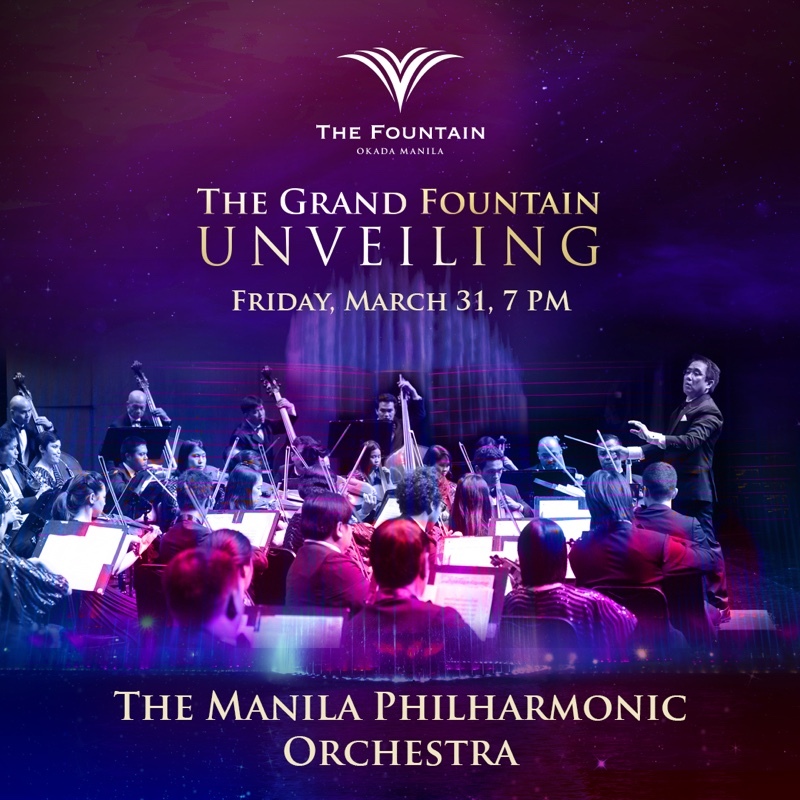 Miss Universe 2015 Pia Wurtzbach will get people even more thrilled as she hosts the grand unveiling event. Whether taking a family vacation, escaping with friends or finding time for a romantic getaway, there are so many exciting things you can do and see at Okada Manila. Enjoy its key amenities and facilities such as luxurious hotel rooms, top-notch restaurants and retail shops. This place is pleasurable to stay in because we can just relax in their elegant rooms, dine and shop all at one place. I can’t wait to go shopping in their fancy retail stores! Okada Manila is also home to more than 40 dining establishments outfitted with modern and elegant interiors. On the 31st, key restaurants will be introduced to guests in search of the finest flavors of the world. Okada Manila’s brigade of revered international chefs offer multicultural cuisines emphasising a full spectrum of flavors for patrons and food aficionados with discerning palates. Guests can embark on a gastronomic journey and sample the culinary masterpieces of Michelin-star chef Hirofumi Imamura at his eponymous Japanese Kappou Imamura restaurant; take a seat at the exclusive Ginza Nagaoka for a taste of masterfully prepared sushi and sashimi specialties; savor the rich Oriental flavors at Red Spice Chinese restaurant; and delight in a variety of cakes and treats at the Lobby Lounge and Pastry Shop. To complete the guests’ experience, retail shops featuring other food and beverage outlets and specialty local and international brands can be enjoyed by every shopper. One-of-a-kind premium items can also be found in The Okada Manila gift shop so everyone can bring home a little trinket to remind them of their extraordinary visit. These shops will be housed inside the arched-glass crystal corridor and will be strategically located between The Fountain and Okada Avenue, giving guests a delightful retail experience. The lavishly furnished accommodations will provide luxurious comforts to locals and travelers alike. Guests can indulge in the Deluxe King or Twin that ranges from 55 to 74 sqm. These rooms also offer designer amenities, spectacular views of either Manila Bay or The Fountain and advanced in-room technologies such as DigiValet Service, an iPad that controls amenities in the guestroom and even communicates to people outside including the hotel’s restaurants and concierge. Okada Manila is currently offering these rooms at an introductory rate of PHP 8,888 NET for stays from March 31 to April 30 except Easter holidays. Guests can take advantage of these amazing rates by booking via www.okadamanila.com from March 15 to 31. WOW! what a magical night! grabe event na yan...siguro mahal po tickets..hope mapanood ko yan kahit replay na lang...gaganda guests!